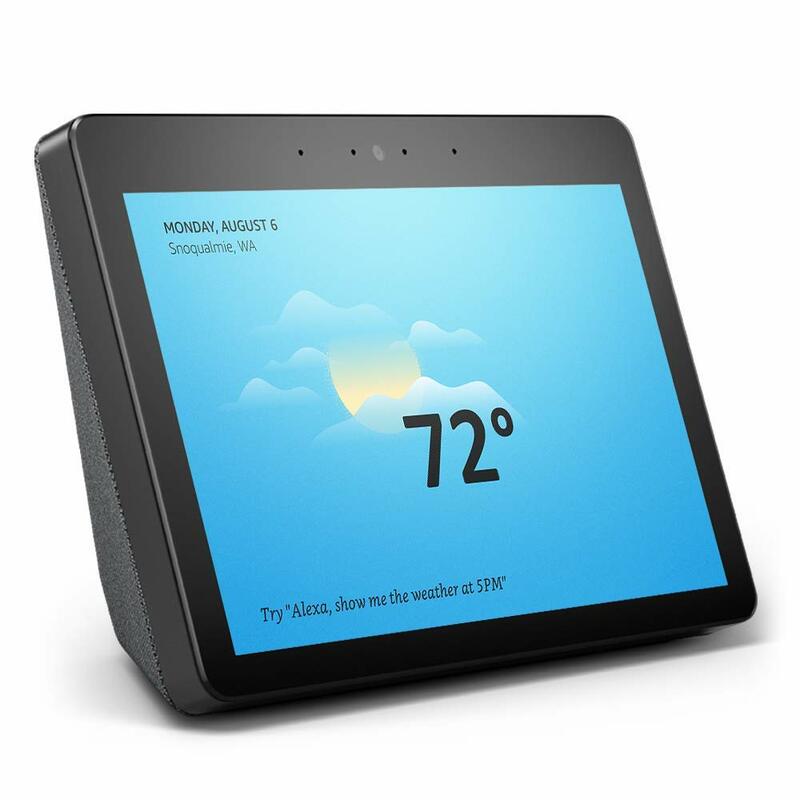 Amazon has launched a slew of new Alexa-powered devices. Among the bevy of goodies are brand new versions of existing products including the Echo Dot, Echo Plus and the Echo Show. Designed to accompany these products is a new line called Echo Companions that comprise of the Echo Link, Echo Link Amp, Echo Input and Echo Sub. There is also a new companion device for the Amazon Fire TV called the Fire TV Recast. 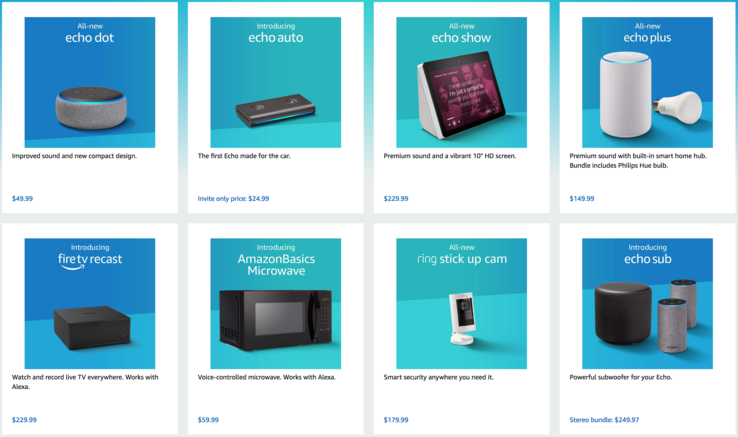 New products also include the new Echo Auto, an Alexa-enabled Ring-branded security camera, a Wall Clock and even an Alexa-powered Microwave. The new Echo Dot gets a little bigger now as it incorporates a larger 1.6-inch driver and is now 70 percent louder as a result. It also adds a new signature Amazon fabric finish and is shipping next month for the same price as the original, US$50. The new Echo Plus continues to double as a smart home hub, but now also works with local devices in situations where the internet stops working, for example. Dubbed “Smart Home Local Voice Control,” you can still ask Alexa to carry out functions like turning off the lights. It will also ship next month and is priced at US$150. The new Echo Show gets Amazon’s new fabric look as well, but a raft of useful functional enhancements too. Chief among these is a larger 10-inch display (up from 7-inches) and it picks up real-time Dolby sound processing. It now also includes a built-in web browser. Among things like being able to display recipe instructions from Amazon’s Meal Kit, it also can connect you to YouTube videos on the run as it is no longer supported natively by Google on Amazon devices. The new Echo Show is retailing for US$230. The new Echo Link (US$200) is a minimalistic black box with a large dial on the front. It can plug into a regular stereo system to give it Alexa-powered music services. This is similar to the new Link Amp (US$300), but it adds a 60W stereo amp to the equation allowing you to connect it to your favorite pair of speakers. The Echo Input is not dissimilar to Google’s Chromecast Audio except that it incorporates mics to recognize voice commands, but will retail for US$35. If you’re not happy with the bass output from your Echo speaker/s, you can hook it up to the Echo Sub to give it the thump it needs for US$130. Your speakers can also connect to the new Wall Clock (US$30) to provide you with Internet-powered time accuracy. The new Amazon Fire TV Recast is a DVR box that works with a Fire TV Stick, Box or even Show to record live TV streams for later viewing. It will ship before the holiday period priced at US$230 for a dual-tuner version plus 500GB of storage or US$280 for a quad-tuner variant with 1TB of storage. The new Ring-branded Stick Up Cam security camera is going to retail for US$180 and will be compatible with Alexa voice controls down the track. The new Echo Auto is an interesting proposition. It is not in full release and, in fact, requires an invitation to actually purchase. It is effectively beta hardware, and Amazon is keen to have people who understand this test it out. It connects to your phone over Bluetooth and gives older cars an always-on voice assistant. It won’t integrate with your car stereo, but it will allow you to be given information like verbal directions. Initial pricing is US$25, but this will rise to US$50 on official launch.